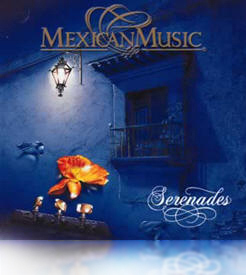 Serenades are a testament to Mexican romanticism. Of Spanish and Italian origins, serenatas are carried out in Mexico since the 18th Century. This album includes songs by famous songwriters such as Agustin Lara,Consuelito Velzquez, Maria Grever, Gonzalo Curieland Armando Manzanero.